LG invites you to watch, in its latest commercial, how the various features of the new LG G6 can enrich your life. listening to in the ad, showcases that you can use it even in the rain as it is water-resistant, you can decline calls without interrupting the game you’re playing, you can take amazing photos thanks to its QHD+ resolution, which provides superior picture quality for a more authentic viewing experience. Described as “an attractive sleek phone that comfortably fits in one hand”, the LG G6, with its 5.7″ display fitting in your hand, gives you a big screen experience without the inconvenience of a big phone. The LG G6 has the Google Assistant built in, so it helps you with getting real-time answers about the weather, traffic, finance, or sports, translations while you’re travelling, set reminders, instantly look up emails, and many more. 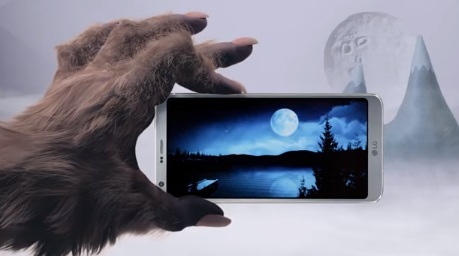 The spot ends with the tagline “The Big Screen That Fits In Your Hand”.